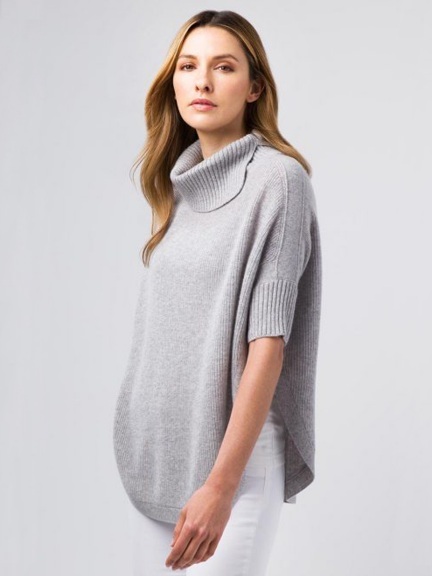 A plush 2-ply cashmere pullover poncho features an exaggerated shirttail hem, perfect for layering. Ribbed cowl neckline splits to lay flat at the shoulder. Dolman sleeves have a ribbed cuff at elbow length.